The number of regional centers and major cities in Ukraine on November 15 held the second round of mayoral elections. Kyiv's incumbent mayor Vitali Klitschko has been elected for the second term. Klitschko is leading in the mayoral election after 83.5% of protocols issued by district election commissions have been processed, according to the Kyiv City Elections Commission. According to the preliminary information, Klitschko has gained 65.5% of the vote, and his rival, MP Boryslav Bereza, the leader of the Rishuchi Hromadiany (Resolute Citizens) Party, has 32.8%. The results of an exit poll conducted by the Kyiv International Institute of Sociology (KIIS) at the request of the television news service of Channel 1+1 are the following: Klitschko is in the lead with 65% of the vote, while Bereza has got 35%. The western city of Lviv has also elected its incumbent mayor Andriy Sadovy from the Samopomich Party for another term. With 98% of the protocols processed, he has got 61.06% of the vote; his rival from the Svoboda Party Ruslan Koshulynsky has scored 36.9%. KIIS' exit poll says that Sadovy received 61.4% of the vote, Koshulynsky ranks second with 38.6%. In Dnipropetrovsk, UKROP Party member Borys Filatov is winning the mayoral election with 53.76%, his opponent, Opposition Bloc representative Oleksandr Vilkul ranks second with 46.24%, according to OPORA civil network NGO's observers, deployed at all polling stations. The exit polls conducted by KIIS and the Socis company also confirm that a victory has been won by Filatov (62% and 55.8%, respectively). At the same time, the Opposition Bloc cites its own exit polls saying that its candidate Vilkul has won 53% of the vote. FOM-Ukraine's exit poll assigns the victory to Vilkul, who, according to it, has 50.7%. The uncertainty of the election results is observed in Kryvy Rih in Dnipropetrovsk region. Thus, the Opposition Bloc claims its representative Yuriy Vilkul has got almost 60% of the vote, while the Samopomich Party declared its nominee, Yuriy Myloboh, as the winner. 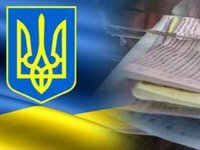 There are already preliminary results after 100% of protocols of the mayoral election in Chernivtsi and Lutsk have been processed. In Chernivtsi, winning is the incumbent mayor, self-nominee Oleksiy Kaspruk. Lutsk also elected its incumbent mayor Mykola Romaniuk, who represents the Petro Poroshenko Bloc Solidarnist (Solidarity) Party, for another term. According to KIIS' exit poll, self-nominee Volodymyr Buriak who was running for the mayor's office in Zaporizhia scored 55.9% of the vote, while 56.7% of voters in Ivano-Frankivsk cast their ballot papers for Svoboda Party representative Ruslan Martsynkiv. Opposition Bloc representative Anatoliy Vershyna was supported by 55.5% of voters in Pavlohrad. In Rivne, according to preliminary information from the Rivne City Election Commission, which processed protocols from 100% of polling stations, the winner of the Rivne mayoral election was self-nominated candidate, incumbent mayor Volodymyr Khomko, OPORA reported. In Khmelnytsky, candidate from the Svoboda Party Oleksandr Symchyshyn is in the lead, followed by his opponent, self-nominee, incumbent mayor Kostiantyn Chernylevsky, according to the parallel counting of votes. Uzhgorod, Kherson and Chernihiv haven't yet announced their definite mayors. A number of candidates in some cities and towns have already recognized their defeat in the local elections. In particular, candidate from the Opposition Bloc Ihor Diatlov, who was running for the mayor's office in Mykolaiv, has greeted his opponent, Samopomich representative Oleksandr Senkevych with the victory, without waiting for the official announcement of the results. UKROP Party nominee Yevhen Terekhov recognized Opposition Bloc representative Anatoliy Vershyna's victory in the Pavlohrad mayoral election. Incumbent mayor of Cherkasy, candidate from the Free Democrats Party Serhiy Odarych cited data from the parallel counting of votes conducted by his headquarters, according to which the victory belongs to candidate from the Batkivschyna Party Anatoliy Bondarenko. Candidate from the Petro Poroshenko Bloc Solidarnist (Solidarity) Party Ihor Nasalyk running for mayor in Ivano-Frankivsk recognized the victory of his opponent from the Svoboda Party Ruslan Martsynkiv. Representative from the Hromadsky Kontrol (Public Control) organization Dmytro Yakimets acknowledged the victory of representative from the Petro Poroshenko Bloc Solidarnist (Solidarity) Party, incumbent mayor of Rivne Volodymyr Khomko. The official results of the second round of the local elections should be established no later than November 20.